Save up to 17% with a Universal Studios ticket and a FunVee hop-on, hop-off tour combo! Enjoy Singapore sightseeing on a Funvee hop-on, hop-off tour, valid for 1 day! Hop on & off at Singapore Flyer, Marina Bay, Clarke Quay, Merlion Park and more! Ideal for thrill-seekers and movie buffs! Save up to 17% with a fabulous Singapore combo that includes a day in Universal Singapore Studios and a 1-day FunVee hop-on, hop-off bus tour! Explore Singapore on your own terms and visit attractions of your choice with a 1-day FunVee hop-on, hop-off tour! 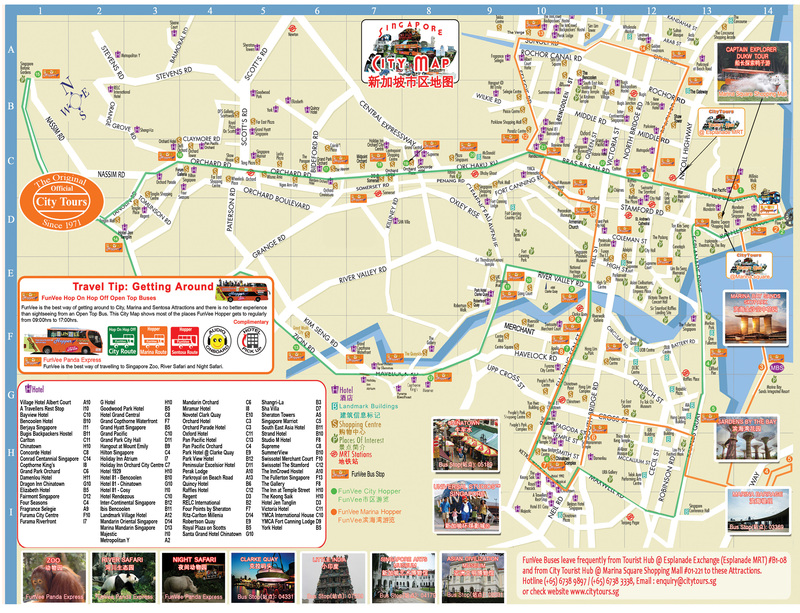 Hop on and off at any of the 40 stops covered by the 3 routes and enjoy easy access to top Singapore tourist hotspots. Enjoy a wonderful day at the Universal Studios Singapore and step into the magical world of movies! Ride the terrifying dueling roller coasters at Battlestar Galactica, treat your kids with a tête-à-tête with Shrek, Donkey and the rest of the gang! Brave the spectacle of WaterWorld, meet the dinosaurs of Jurassic Park, explore the rainforest in Madagascar and brave the mummy’s curse in ancient Egypt! FunVee Hop-On, Hop-Off Bus Tour: Hop on the bus at any of the stops to start the tour. FunVee Hop-On, Hop-Off Bus Tour: Hop off the bus at any of the stops to end the tour. Universal Studios Singapore Ticket: Same as the start point. Hop on the bus at any of the stops to end the tour. 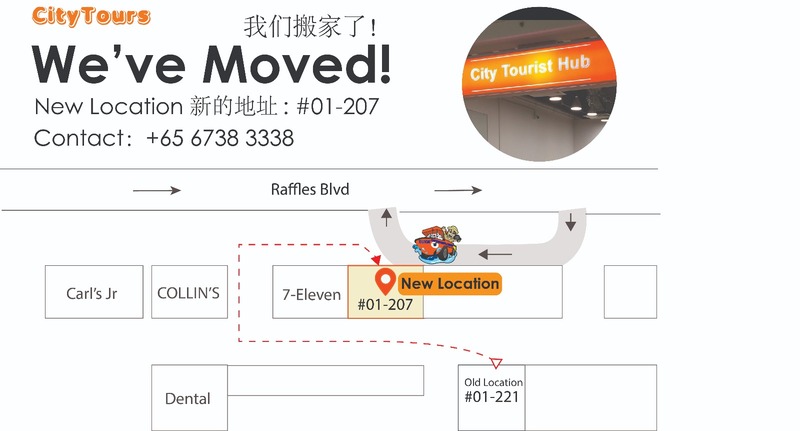 Present your e-ticket at Resorts World, City Tours Kiosk number K11 (basement 1 coach bay) to collect your ticket. Universal Studios Singapore located within Resorts World Sentosa on Sentosa Island, is 1 of only 4 Universal Studios locations across the globe and is South East Asia’s first movie theme park. Encounter monsters, battle villains, journey back in time to ancient lands and revel in the inimitable style of Hollywood. You’ll also thrill to roller coasters and other rides and shows based on the movies. At Hollywood Studios, you’ll be in the epicenter of the entertainment universe as you step onto Hollywood Boulevard and the Walk of Fame. Visit New York and feel the spirit and energy of America's biggest and grandest city. Take a peek into the future and discover alien warriors and creatures from other worlds beyond the portals of Sci-Fi City. In Ancient Egypt, pyramids and obelisks stand fast against the sands of time. Explore an era where entire Pharaohs’ tombs were discovered and the dreadful curses within were set free. The Lost World is divided into two themed areas: Jurassic Park and WaterWorld. The land of Far Far Away showcases the lifestyles of the rich and fairy-taled. Thrill to the Shrek 4D Adventure or sing along with Donkey, Shrek’s sidekick. Visit the dense tropical jungle of Madagascar, based on the hit Dreamworks animation film, Madagascar. Make your own way back after spending a day in Universal Studios.